Blended wines have more to offer than varietal wines, in my humble opinion. The fun I experience while trying to pin down the percentages of the different grapes in the blend probably marks me as a wine geek beyond hope, but that's alright with me. It's a fate from which I feel no need to be rescued. Cornerstone Cellars' Stepping Stone brand offers a white blend called Rocks! It combines Chardonnay, Viognier and Muscat Canelli, but the percentages are withheld - the better to cause wine geeks to wonder what those numbers are. Cornerstone's managing partner, Craig Camp, made a sample available to me. He always shares more than wine with a sample, citing his own love of blends - particularly field blends, in which the grapes are grown together in the vineyard with only a guess as to what percentages make up the blend. Camp writes, "My love of interesting blends goes back to the now famous Vintage Tunia by Silvio Jermann in Italy's Fruili." He says he was among the first American importers of this wine in the early 1980's. "During the same period I was introduced to the many blended southern French wines by Christopher Cannan," he continues. 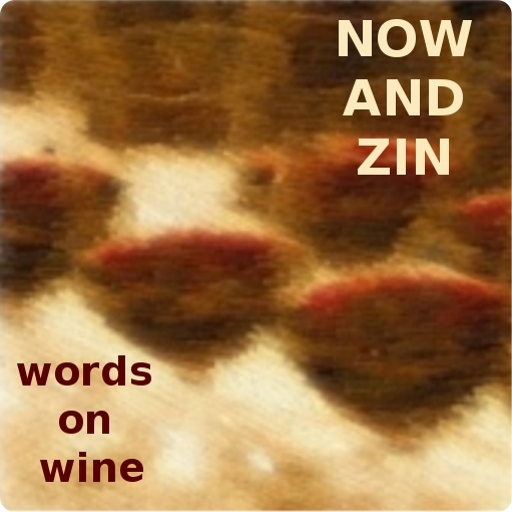 "No one debated too much the exact blends of these wines they way people do now. They were just enjoyed for what they were - delicious." On the Jermann website, there is a quote from a wine writer on the virtues of Vintage Tunia: "No one until now has ever realised it, but it is the most extraordinary meditation wine in existence. Not in the passive sense (wine to drink while meditating), but in the active sense: it is a wine that makes you meditate.” So let's meditate on Stepping Stone Rocks! North Coast White Blend 2013. One of the numbers Cornerstone does release is the alcohol content of 13.3%, a fairly moderate number. Also moderate is the retail price of $15. Stepping Stone by Cornerstone Rocks! North Coast White Blend 2013 has a pale yellow tint in the glass, with a brilliant nose featuring a spray of floral notes with melon and a spicy, herbal twist. The palate offers very bright acidity in a wine that is sweet, but not syrupy. There is a cantaloupe note in the middle and a citrus finish. This is a natural with Japanese noodles, Pad Thai or penne pasta with sun-dried tomatoes. The floral aromas give away the Muscat Canelli, while the fruit I attribute to the Chardonnay and the vibrant acidity to the Viognier. The alcohol moderation points to early harvest and the balance to just plain good winemaking. Kari Auringer has just replaced Jeff Keene as the Cornerstone winemaker, by the way. According to Camp, "When Kari became winemaker for Cornerstone Cellars she was, in fact, coming home as, for most of the vintages of the 2000s, Kari was assistant winemaker to Celia Welch, who made the wines of Cornerstone Cellars from 2000 through 2007. Kari's fingerprint is already on almost a decade of Cornerstone Cellars wines. Over the last decade she has contributed to the fame of some of the Napa Valley's most luminous names including Scarecrow, Lindstrom, Keever, Kelly Fleming and Corra and has been singled out as a rising star in Napa Valley winemaking."